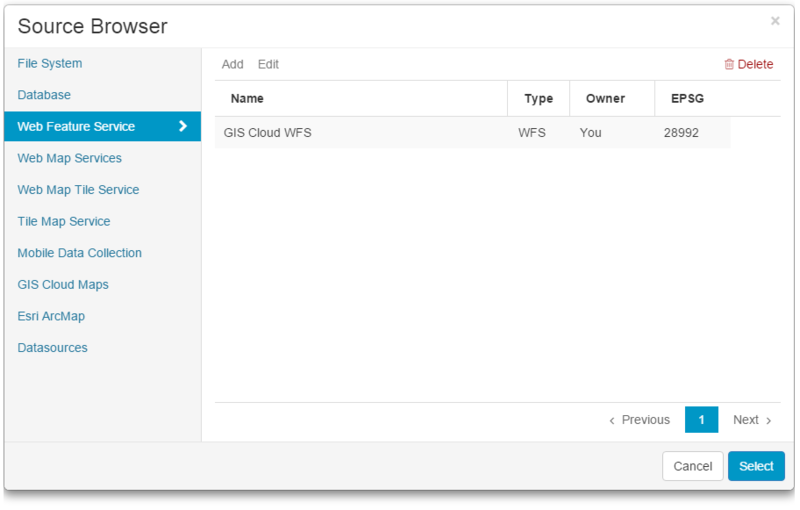 Click Add WFS in the Source Browser. 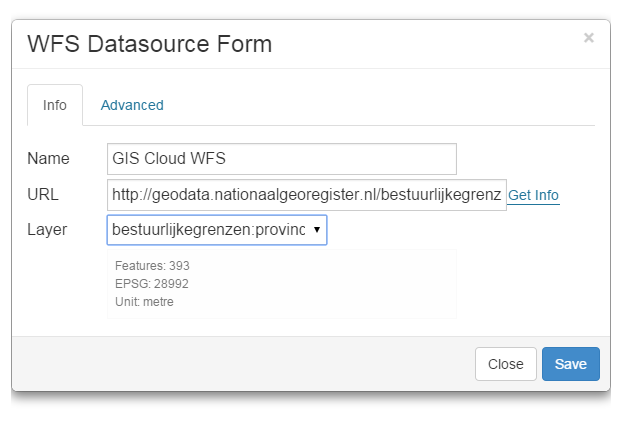 Write a WFS name and URL of the dataset. Select Web Feature Service in the Source Browser.